Here’s a deal that combines two of our very favorite things in the world: free pizza and three-point shots on the basketball court. Did we mention the part about free pizza? Mellow Mushroom is giving away a free small cheese pizza to anyone who downloads a new gaming app. The chain typically cuts its 10-inch small pizza into four slices, and it typically retails for $7.99. The app is the ACC 3 Point Challenge, which you can download here. It’s available for free through the Apple and Google Play app stores. In the online game, players compete in basketball shooting contests. Fans can play as their favorite Atlantic Coast Conference school and take their best shots in three-point shootout-style competitions. Users can play quick matches or try to survive and advance through online tournaments. Fans who download or update the app will receive an electronic code for the free pizza, redeemable at any Mellow Mushroom location. The growing chain has 180 stores in 21 states. 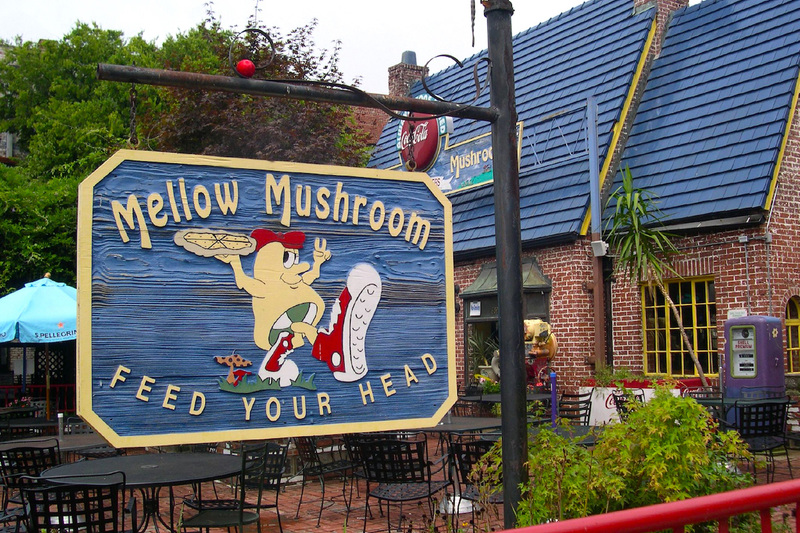 Mellow Mushroom, which was founded in Atlanta, is a sponsor of ACC sports broadcasts. When you go to claim your free cheese pizza, be aware of the terms of the deal: It’s dine-in only and limited to one redemption per party. Fair warning: You will be definitely be tempted to grab something to go with that pizza. Aside from its pizzas and hoagies, the chain is known for its vast beer selection. Your Turn: Which do you like more — three-point shots or pizza? Mike Brassfield ([email protected]) is a senior writer at The Penny Hoarder. He likes mushrooms on his pizza.